Non-Member? 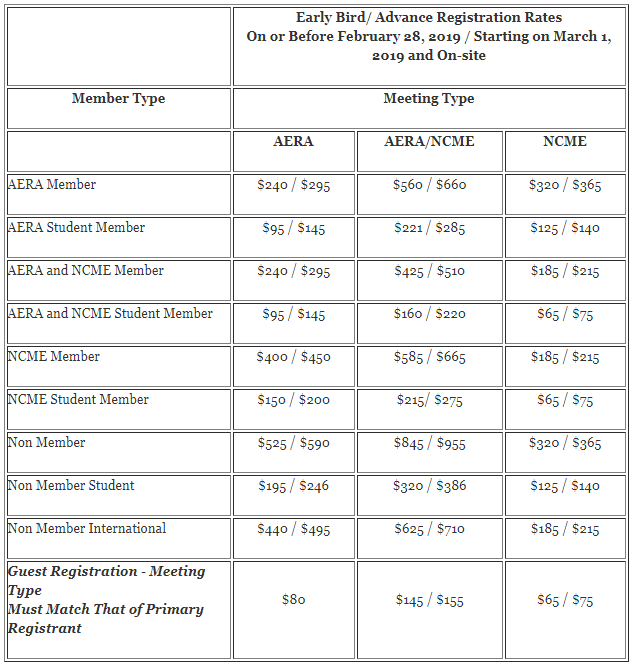 Join AERA first and pay lower Annual Meeting registration fees and receive member benefits. For specific questions about the NCME Annual Meeting, please contact NCME's Central Office. In addition to general registration, AERA offers additional enrichment opportunities such as tours and off-site visits. AERA also offers a rich program of Professional Development and Training extended and mini-courses.